Manfred Weber of the centre-right European People’s Party will meet Hungarian populist Prime Minister Viktor Orbán to discuss his Fidesz Party’s dispute with the EPP, a Germany newspaper reported. 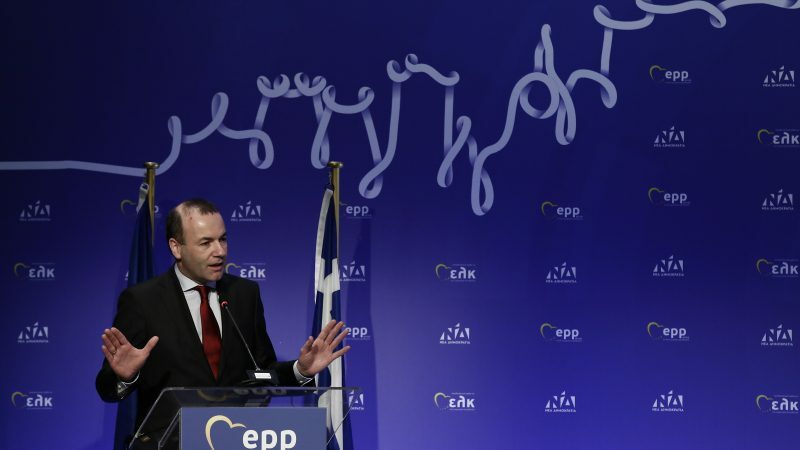 On Tuesday (5 March), Weber, the EPP’s leading candidate to take over as head of the European Commission later in the year, asked Fidesz to apologise if it wanted to avoid being expelled from the largest group in the European Parliament. Hungary defied demands to apologise on Wednesday (6 March) for vitriolic criticism of EU leaders, but a senior government aide suggested it was seeking compromise to avoid its ruling party’s ejection from the main conservative group in the European Parliament. 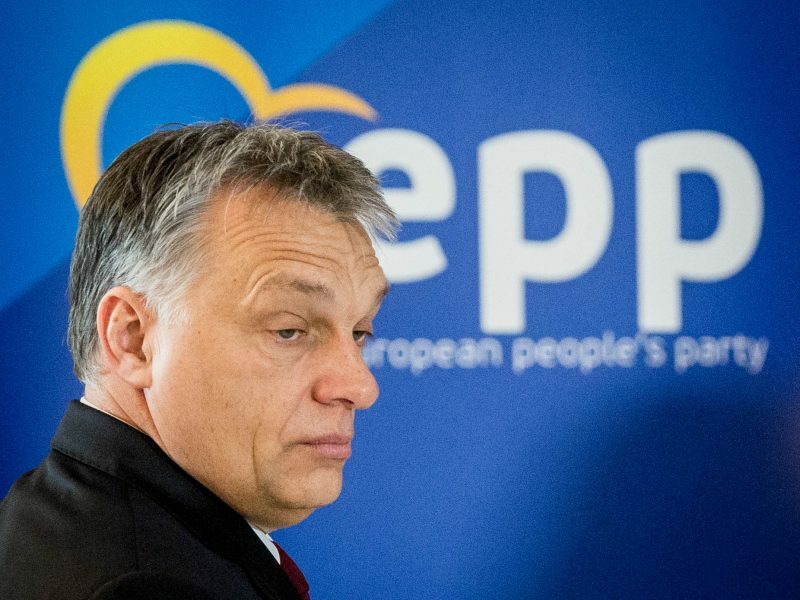 Orbán would have to stop his government’s anti-EU campaign; let the CEU university founded by the liberal US-Hungarian billionaire George Soros stay in Budapest; and apologise to other member parties of the EPP, added Weber. “I will again in the coming days personally hold talks with Viktor Orbán in Budapest,” Weber told Welt am Sonntag. He said he wanted to make it clear to Orbán that Fidesz was going to be forced out of the EPP if he did not change his position, he said. On a visit in Slovenia Saturday, Weber refused to confirm if he was going to Hungary personally, saying only he and Orbán were in “regular contact” and had several phone calls. “Let me say, that for the moment we are in the period of talks,” he told reporters at a joint news conference with Janez Janša, the leader of Slovenia’s main opposition Social Democrats Party (SDS), which is an EPP member. “For me there is no Europe of East or West, of South or North, of small or big. There are only Europeans… We have to keep Europe together that’s why with talks you can solve problems, and we’ll try to do it until the 20th of March,” he added. EPP members are due to discuss Fidesz’s future in the group at a meeting on 20 March. In December, the CEU announced it was moving most of its programmes out of Budapest to Vienna, complaining it had been targeted by government legislation pushed through parliament in 2017. Weber has also objected to a campaign in Hungary targeting European Commission President Jean-Claude Juncker, also of the EPP, accusing him of backing illegal migration. 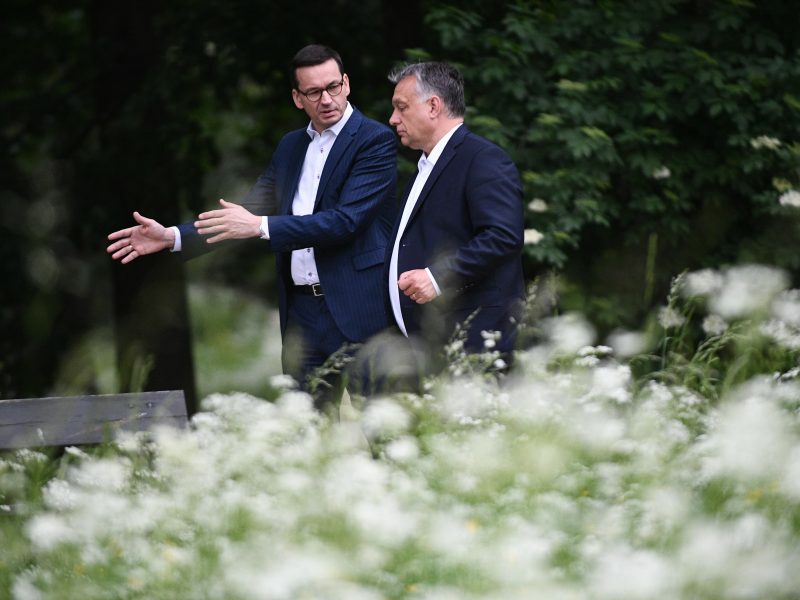 On Friday, Orbán said Fidesz could opt to leave the EPP and seek to join up with Poland’s ruling right-wing Law and Justice (PiS) party in the European Parliament. Hungarian Prime Minister Viktor Orbán said on Friday (8 March) his ruling nationalist Fidesz party may drop out of the centre-right European People’s Party (EPP) amid a row over his government’s anti-Brussels media campaign.
.@ManfredWeber will meet Prime Minister Viktor Orban on Tuesday.